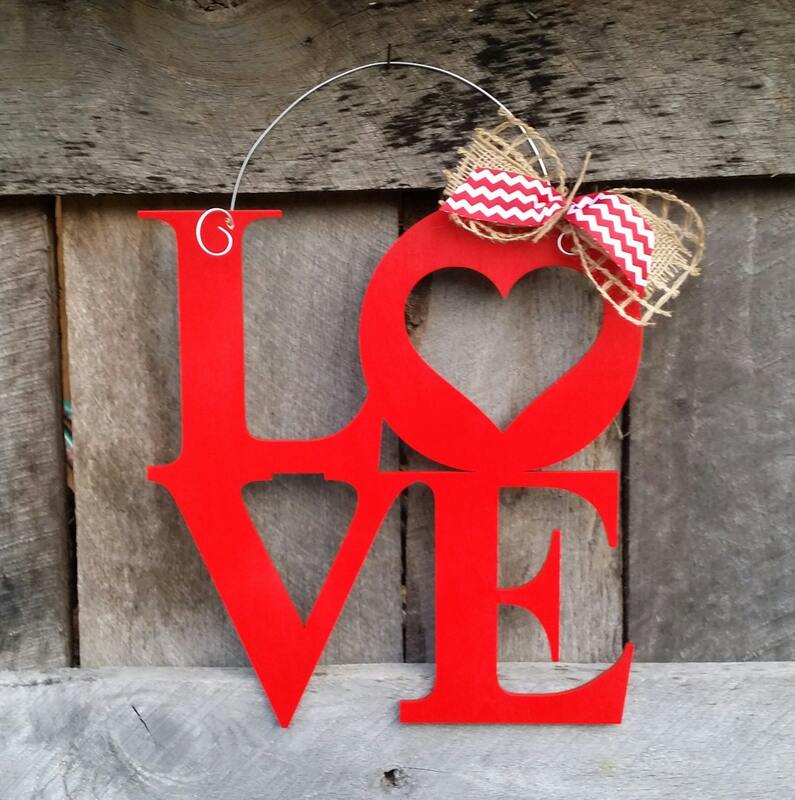 We've created this sweet Valentine's Day door hanger from laser cut, 1/4" thick Baltic birch and painted in the color of your choice. 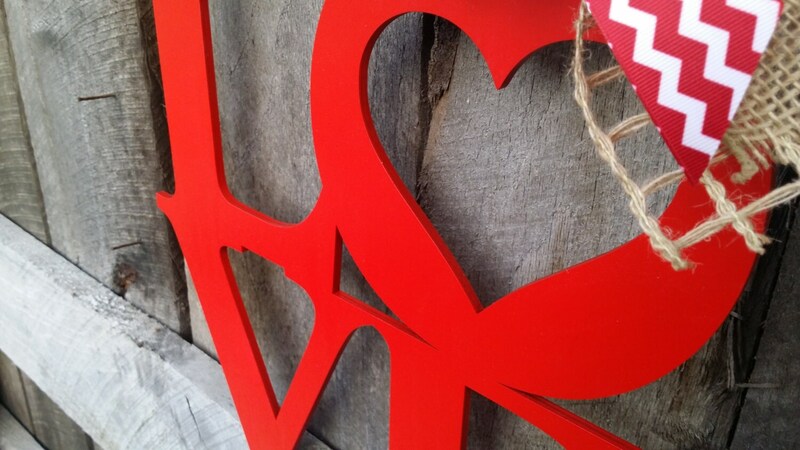 The LOVE sign measures 22" tall and 22" wide. The attached wire hanger makes it ready to hang and the sweet bow adds the perfect finishing touch. The end result is simply precious! Exactly as expected. Love it!